After another hours-long discussion about the public benefits Magic City Innovation District can provide for Little Haiti, the project won initial approval from the Miami City Commission during a meeting that stretched into Friday morning. The commission voted 4-0 on first reading to greenlight the $1 billion mixed-use development that would radically transform nearly 18 acres in Little Haiti. The developers still have to return for a final approval on second reading, tentatively scheduled for June 27. It was the fourth time that MCD Miami LLC, the partnership developing the project, had tried to win preliminary approval for its special area plan application, which would allow the developers to build commercial and residential buildings in an area of Little Haiti that is mostly zoned industrial. Magic City Innovation District would span 8.2 million square feet, with 2,670 apartments in buildings up to 25 stories tall on land that included the former Magic City Trailer Park at 61st Street and Northeast Second Avenue. As part of a development agreement with the city, MDC Miami would contribute $31 million to the newly created Little Haiti Revitalization Trust for community improvements and affordable housing in the neighborhood. On three prior occasions, MCD Miami had failed to win a first reading vote amid concerns that the development would accelerate the displacement of Little Haiti’s poorest residents and that the community benefits offered by the developers was not enough to offset the disruption the project will create. 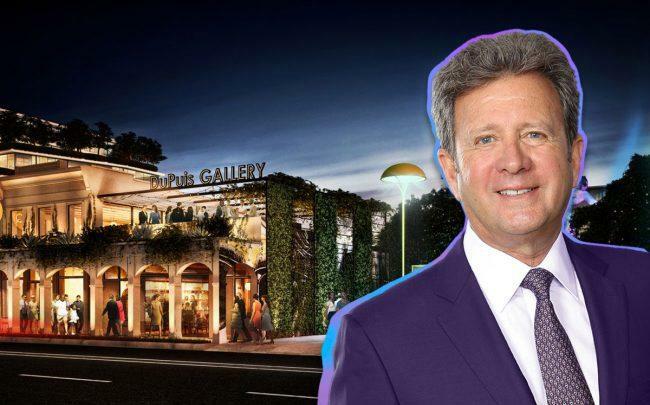 The development is being managed by Neil Fairman’s Plaza Equity Partners, which owns a 25 percent stake in MCD Miami. Tech entrepreneur Robert Zangrillo and a trust under his children’s names own 35 percent, making them the majority owner. However, on Tuesday, Zangrillo was removed as manager of MCD Dragon, the entity that is part of MCD Miami’s ownership group. The mogul is focusing on his defense after being charged in federal court on one felony count of conspiracy to commit mail fraud and honest services mail fraud. Prosecutors say Zangrillo paid $250,000 in bribes to get his daughter Amber into the University of Southern California. During Thursday’s meeting, MDC Miami principals agreed to accelerate the payments for the $31 million contribution, which would be broken up in installments as construction took place over 15 years. The first $6 million would be paid within six months of the city commission’s final approval. Commissioner Keon Hardemon, whose district includes Little Haiti, requested the developers host two town hall meetings and consider establishing a college scholarship fund for local residents, which he called “the Robert Zangrillo Fund,” an apparent nod to the developer’s legal troubles. Fairman, who was part of the project presentation, agreed to continue discussions with the city in order for the first reading vote to happen. Fairman said MCD Miami would first develop two office buildings that would house business incubators and accelerators. After construction begins on a third office building, the developers would then consider building the first residential component of the mixed-use project. It could take two to three years after the project is approved, he said. “I believe by then, we will have a little bit of a market for the residential,” Fairman added.